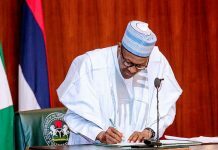 Following the federal governmentâ€™s desire to reform the operations of the NNPC, the corporation had between 2015 and 2017 undertaken three personnel shakeups. It claims to be repositioning for improved service delivery. Despite criticism of the corporationâ€™s frequent personnel shakeups by experts, NNPC in March 2016 appointed high-profile personnel to man its seven newly created divisions and 20 subsidiaries. 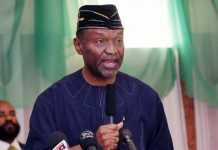 At that time, the Minister of State for Petroleum Resources, Dr. Ibe Kachikwu, who was NNPCâ€™s GMD, announced the governmentâ€™s approval of the changes, saying it is meant to reposition the corporation. Kachikwu said, â€œThe president has approved the final phase of restructuring of the NNPC. Under that phase, we have five business-focused divisions â€“ the upstream, which you used to call E&P (exploration and production); the downstream; the gas power marketing, which is a pull-out from the E&P; the refineries group, which is basically for all the three refineries; and then, of course, the ventures for every other little company that is here and there, thrown all over the place that doesnâ€™t seem to have a sense of direction. Months after Kachikwu made the restructuring and redeployments, Baru, who succeeded him also effected some shakeups precisely in November last year, and redeployed about 109 of NNPCâ€™s staff to various positions in a decision he said was aimed at increasing productivity. Though the corporation stated in its statement that the new staff reshuffles was inspired by statutory retirements and need for replacements, it might have also considered the growing challenges it has to surmount to remain competitive in the global oil and gas business. The corporation has been forced to find creative solutions to its operational challenges, such as funding for joint venture operations with International Oil Companies (IOCs), among other conditional demands. 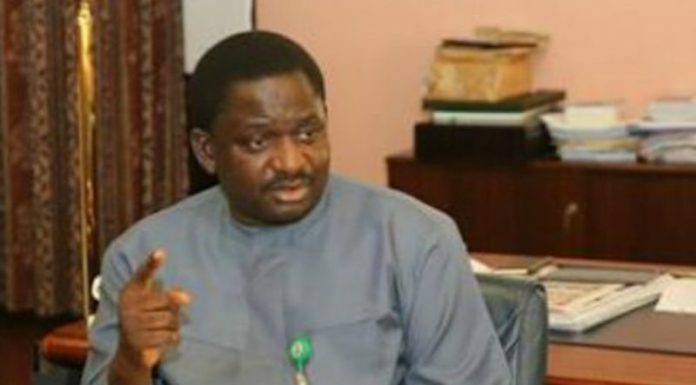 This requires that it finds and equips itself with creatively productive workers â€“ though industry experts who spoke to THISDAY on condition of anonymity found the corporationâ€™s management recruitment process quite unconventional and often unproductive. Notwithstanding, the corporation had in the last couple of months initiated and signed off some key agreements and projects, which ordinarily should keep it busy for a while, and which would require a creative manpower to sustain. Among the new ventures the corporation got involved in were two different alternative financing agreements it signed with Chevron Nigeria Limited (CNL) and Shell Petroleum Development Company (SPDC) for the development of the NNPC/CNL Joint Venture (JV) Sonam Project (Project Falcon) and NNPC/SPDC JV Project Santolina. According to NNPC, both oil and gas projects would boost Nigeriaâ€™s reserves and production, as well generate incremental revenue worth $16 billion for the federal government. 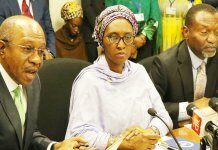 Under the NNPC/CNL JV agreement, the corporation said the Sonam Project, which was hitherto financed through cash calls, would now get alternative funding for its development to yield an incremental proven and probable oil/liquids reserves of 211 million barrels, as well as proven and probable gas reserves of 1.9 trillion cubic feet in Oil Mining Licences (OMLs) 90 and 91. The project, NNPC explained, would begin to yield results in the next three to six months and then move on to achieve an incremental peak production of about 39,000 barrels per day of liquids and 283 million standard cubic feet of gas per day (mmscf/d) over the life cycle of the asset. During the signing of the agreement in London, Baru stated that the JV partners had already expended $1.5 billion, representing 97 per cent of the project completion costs. But he said the new agreement would cover the remaining $780 million to complete the projectâ€™s scope. Baru further said $400 million would be used to fund the development of seven wells in the Sonam field (OML 91); the Okan 30E Non-Associated Gas (NAG) well (OML 90); and associated facilities, including completion of Sonam NAG Well Platform, while $380 million would be required to reimburse the JV partners for the 2016 portion of the funds committed to lenders that had been cashed and paid for. The Sonam project alone, Baru said, would raise for the government cumulative incremental earnings of $7.3 billion over its life. Similarly, its agreement with SPDC would facilitate the development of the NNPC/SPDC JV Project Santolina, which comprises of 156 development activities across 12 OMLs (OMLs 11, 17, 23, 25, 27, 28, 32, 35, 43, 45, 46 and 79) and 30 different fields in the Niger Delta. Time will tell how the changes in the state oil corporation would pan out with regard to its core mandate.